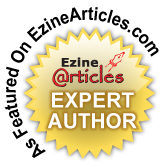 Show the world your Expert Author status! We’ve just added a whole bunch of brand new Featured Author Banners like this one to our collection. These banners are specially designed to attract attention, increase your credibility and drive more traffic to your Expert Author Bio (and articles!). Plus, there are unique versions provided exclusively for our Platinum Level Authors to let everybody know you’re at the top of the article marketing game. That’s all there is to it. In only a few minutes you could be adding an attractive spash of color to your site, increasing your credibility and driving traffic to your articles — all at the same time! It’s pretty much a no-brainer, so why not invest a few minutes in adding one or two right now. Visitors to your site will thank you. Ya know, I was actually thinking about EzineArticles while walking my dog today. I thought of the quest for excellence and how important that is in ‘all’ of our lives. 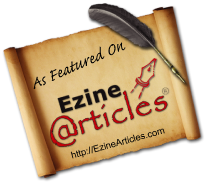 EzineArticles is a great example of not just settling for being good or even excellent at what they do, but continually striving toward improvement and beyond. I am reading this book that Lance had recommended quite some time ago, “Creativity” by Mihaly Csikszentmihalyi, and am struck with just how much I did not know… DAAA! Nothing unusual about that of course, but as an artist that wants to get better, aiming higher than I did yesterday, feeding myself with new insights is key. Anyway.. thanks for the wonderful new banner selections.. smile. Thanks for the new options. 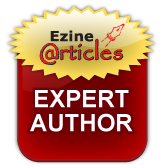 I just recommended contributing articles to Ezine to a new client I consulted with the other day. He mentioned that he loved to write. I sent him right to your site. Luv the 2nd and 4th banners. Looks like I’ll be logging in to my EzineArticles account and changing banners, ever so often. Thank you for another eye-catching way to let my readers know where they can find more of my articles. Much appreciated! Wow! I love them. I’ll definitely be giving a facelift to my pages with some of these lovely graphics. Thanks!